Gandalf the Grey is a wizard and a member of the Fellowship of the Ring. 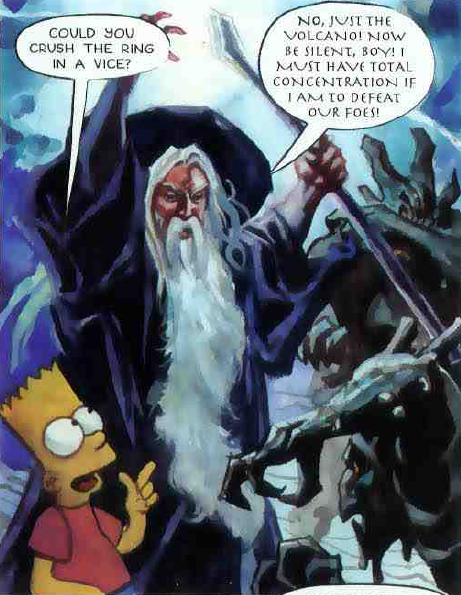 After Saruman summoned the Simpson family to Middle Earth, Bart kept asking Gandalf about ways to destroy the ring, annoying him. 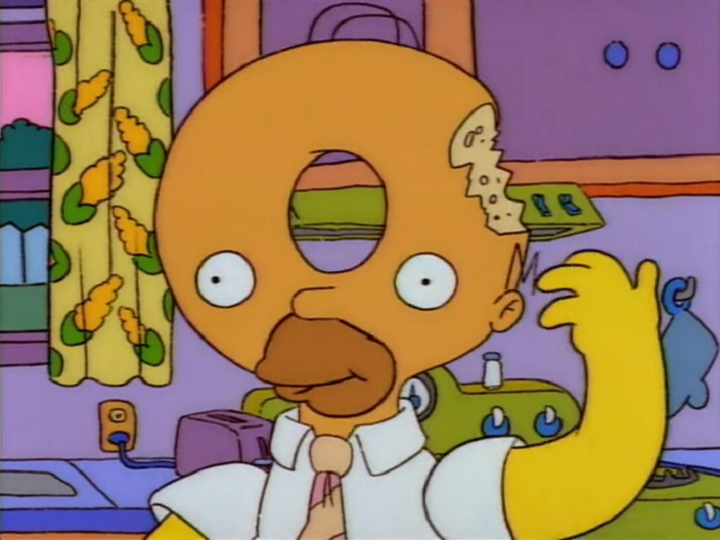 During a fight against Sauron's forces, Homer knocked Gandalf over. After Legolas and Gimli were killed in battle, Gandalf and Frodo Baggins were smoking the finest weed in all the western lands. After Homer defeated the Balrog, Homer accidentally knocked Gandalf off the edge of the pit. Modified on May 3, 2017, at 13:10.